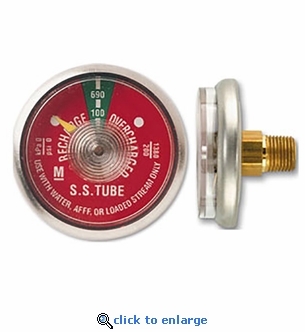 This replacement pressure guage is for Amerex Model 240 Water Fire Extinguishers and other water, AFFF foam and loaded stream extinguishers. See list below. UL Listed. Use with Water, AFFF or Loaded Stream extinguishers only.